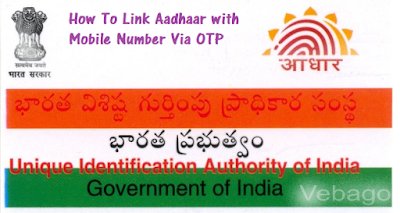 The process of linking Aadhaar numbers to mobile numbers has been going on for a long time but now you do not have to turn around the shop to link the base to mobile. As the government had said that from January 1, 2018, the mobile users of all telecom companies in the country can link the home-based basis through mobile number through OTP. Actually, the OTP-based mobile process has gone live from January 1. Now any user can dial their toll from their mobile number by dialling toll-free number 14546. After dialling this number you will be asked the Aadhaar Number and after that, an OTP will come to your mobile number and you will be asked for OTP. After dialling the OTP, your mobile number will be linked to the base. At the same time, people of more than 70 years, NRIs and Divisions will be contacted by mobile number mobile companies and going to the base. The Government has said in its order that such users should be provided mobile basis verification personally. At present, the IVR number is working only for Airtel, Idea and Vodafone. Customers of Jio, BSNL and MTNL will have to wait for this. ZTE Blade A0722 clears Wi-Fi Alliance and 3C Certification in China, Launch Imminent?